Few areas in life have experienced the rapid pace of change that has been the experience of health care. It's an area where nothing feels "safe" and everything is threatened with reexamination and redefinition. Accompanying this situation is a new appreciation for the human spirit and the gift of things spiritual, including the soul of the work place. 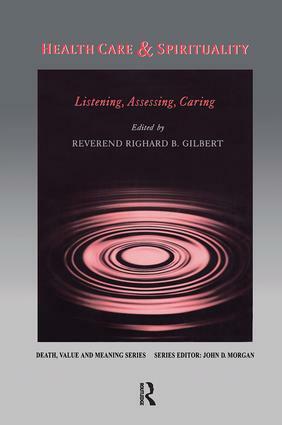 Addressing this situation is a vital new book "Health Care and Spirituality: Listening, Assessing, Caring" an anthology of the human predicament, the health care professional's story and the health care work place. "Health Care and Spirituality" explores this area that is continually being introduced to new treatments, new challenges, new people, new regulations, new expectations, and new time limits.